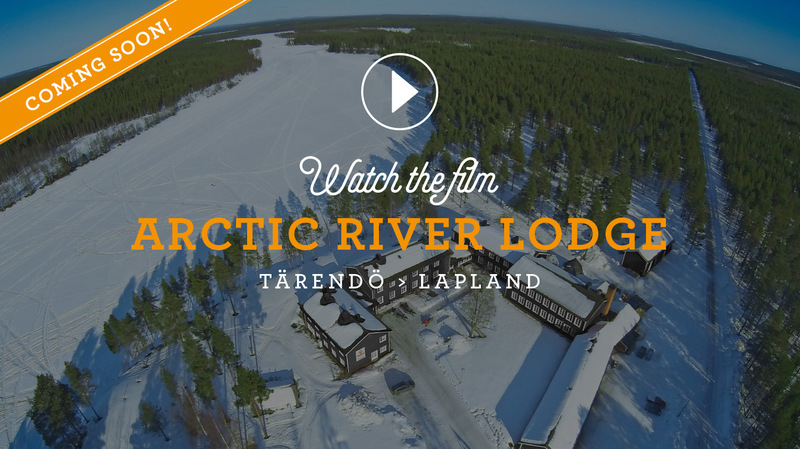 Artic River Lodge is situated in Tärendö, 80 km north of the arctic circle. It is famous for its beautiful location with rivers all around. 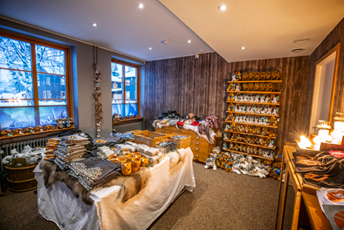 The Lodge is fully renovated in 2018 and has all the facilities you need to enjoy the best Lapland has to offer. 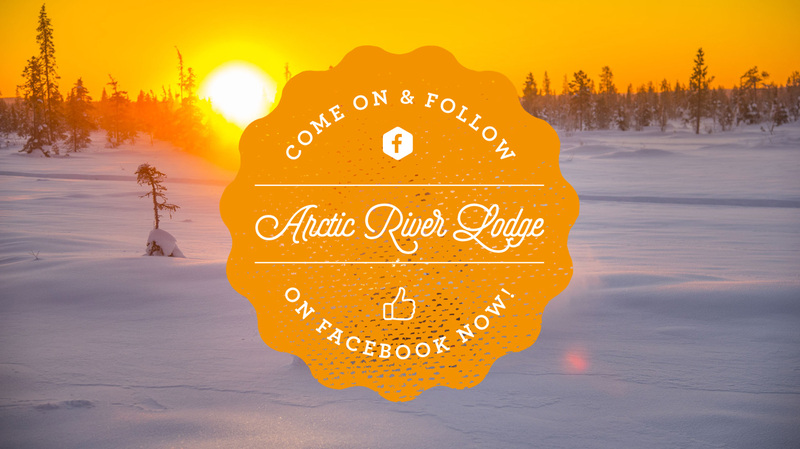 Arctic River Lodge offers a more luxurious yet relaxed environment for those looking for something even more extra out of their vacation. 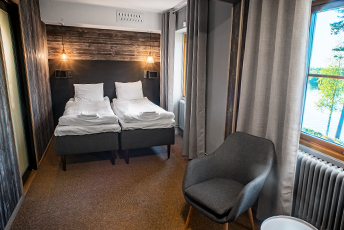 Nice cozy rooms, a relaxed lounge with fireplace and a grand sauna and relax area inside the building. Next to the hotel we have a newly built husky kennel with 80 dogs. Our two chefs, Audrey and Lowie, welcomes you to the restaurant, presenting top quality food made from local ingredients and wine from our own wine cellar. Our guides offers you all kinds of exciting activities that will create lifelong memories. Join us for some amazing adventures in a wonderful landscape, all year round. 18 double rooms with en suite facilities. Simple, but comfortable, all with toilet and shower. 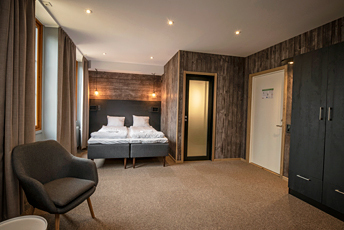 11 Standard Plus Rooms with en suite facilities, all with toilet and shower. Comfortable seating area. Some have a sofa bed and are suitable for 3-4 persons. 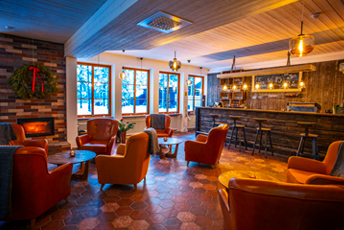 Sit down and enjoy a hot chocolate or local beer in our cozy lounge and bar. 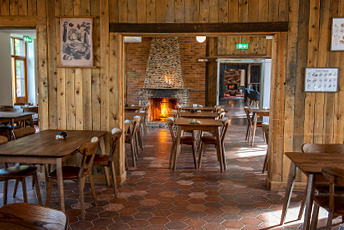 In our restaurant we serve top quality food and wine. Only at Arctic River Lodge all programs include a 3-course dinner with local ingredients from the village. 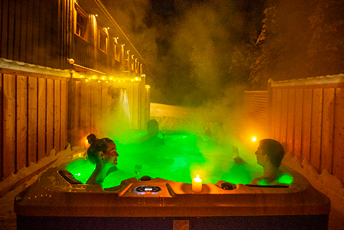 Arctic River Lodge has a relax area with 3 saunas and 2 outdoor jacuzzis. 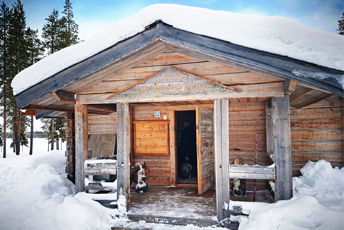 A visit to Lapland isn’t complete without a sauna session. Perfect for a relaxing moment after a day filled with adventure! Once in a lifetime, sleep in our wooden Aurora Hideaway. Away from the lodge, but still in walking distance. 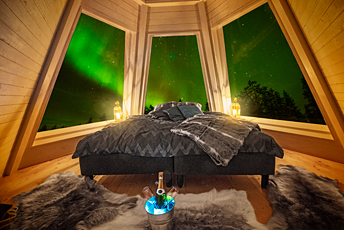 The Hideaway is located in a great spot to watch the northern lights, and has 3 glass walls and a glass roof. Used at overnight adventure tours, housing 6-12 people. These cabins are traditional fishing and hunting cabins. No running water, outdoor toilet, fire stove to heat the cabin. Shared facilities. Simple, but beautiful!